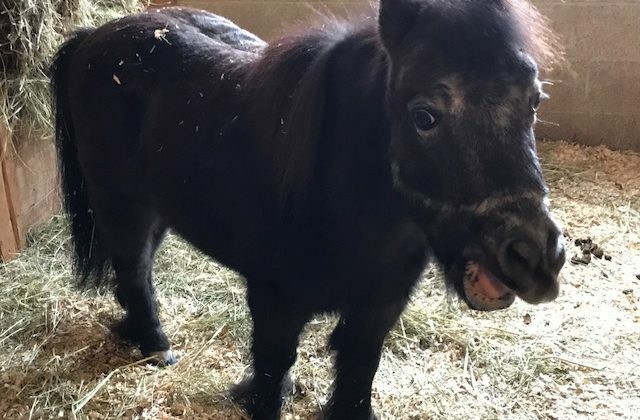 Puff, a miniature horse, has found his forever home at Big Sky Ranch. Photo: Jennifer Westendorp-Juice FM. 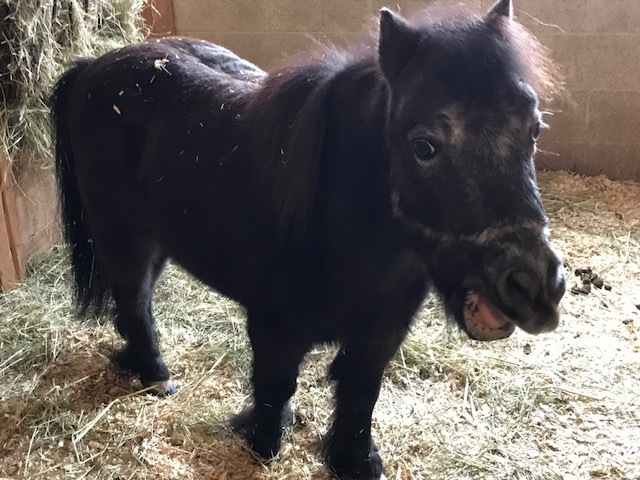 Puff, a miniature horse, has found his forever home. Big Sky Ranch (BSR) Animal Sanctuary took him in last week after he was seized by the Akwesasne Mohawk Police. BSR Founder Andy Parent says Puff’s hooves were so overgrown that they curled back into his legs. He says the hooves were drawing blood. Puff has since been seen by a farrier and veterinarian. Parent says it could take up to a year to correct his hooves. He says there’s not too much you can say when you see something like this. Puff is between 25 and 30-years-old. Parent says he won’t be adopted out and will live out the rest of his days at BSR in comfort. He says Puff has already been introduced to some of the other horses at the sanctuary. For more information about BSR, click here.